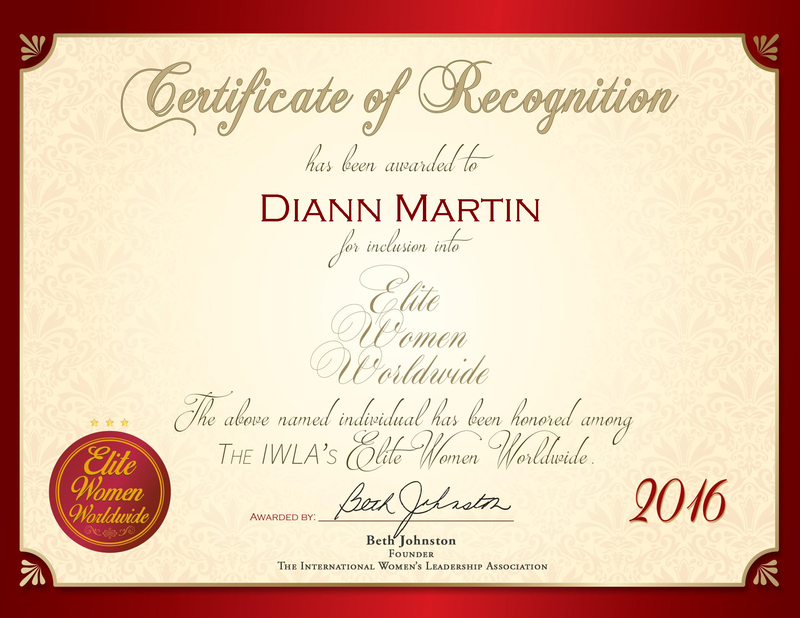 Oconomowoc, WI, May 5, 2016, Diann Martin, President of Road Scholars/RN, has been recognized by Elite Women Worldwide, for dedication, achievement and leadership in nursing and education. Dr. Martin brings more than 40 years of experience of nursing and nursing education to her nursing education company, Road Scholars/RN. With this organization, she trains future nurses and administration while instilling an interest in global health care. In May 2016, Dr. Martin attended a symposium in Ecuador, where she plans to create Service Learning Programs. With the creation of these programs, Dr. Martin’s goal is to take young nursing students to developing nations to educate them on world health issues and care. Dr. Martin has a Ph.D. in nursing and a master’s degree as a nurse practitioner. She says her inspiration stems from being mentored by one of her deans, as well as a professor who served as a role model. Dr. Martin hopes to fill that role for prospective nurses. Throughout her career, she has developed an extensive network of people within the nursing industry. This network helps when Dr. Martin looks to procure resources for nursing programs within larger institutions. One of the biggest aspects of Dr. Martin’s role is helping young nursing professionals experience and learn about global health needs. By bringing these young professionals to developing nations, Dr. Martin hopes it will make a difference in the lives of the students, and the people being helped by their services Additionally, she hopes her commitment to help others leads to her being pronounced as a thought leader in the nursing world. Dr. Martin has put her knowledge to good use, and has published a nursing textbook. She endeavors to revolutionize the nursing field and lead the training programs in specialization rather than inclusivity.